A gatekeeper is the term for anyone who blocks the way between you and the key decision maker within a target organisation. Gatekeepers are often receptionists, secretaries or administrative assistants whose job it is to screen unwanted or irrelevant calls from reaching their bosses. Any call they deem as unimportant or irrelevant will be fielded and prevented from proceeding any further. A decision maker’s time is often limited and incredibly important for keeping their business running smoothly. Therefore, gatekeepers act as a shield, protecting them from any unwanted distractions or potential time wasters who might otherwise take them away from their main responsibilities. Gatekeepers are one of the biggest obstacles a sales team will face, as they can prevent you from delivering your pitch to the people who need to hear it. A simple please and thank you can go a long way. Don’t treat the gatekeeper like an automated filtering system. Try and engage with them on a personal level. At the end of the day, they decide whether you get through or not, so building some rapport will be hugely beneficial. Find out their name, write it down and engage with them on a first name basis. If you lose your temper with a gatekeeper then the door is likely to be permanently shut for you. If you’re rude, arrogant, dismissive or overly pushy with them then you’re ending any chance you have of making a sale before you’ve even started. It’s common for gatekeepers to become increasingly skeptical of incoming calls due to the sheer volume of people that try to lie or trick their way through. Gatekeepers can smell a salesperson a mile off and are constantly on the lookout for lies and half-truths. If you lie to get past them there will be repercussions. Be honest; give your full name and company name and give a brief overview of why you’re calling (if they ask you). 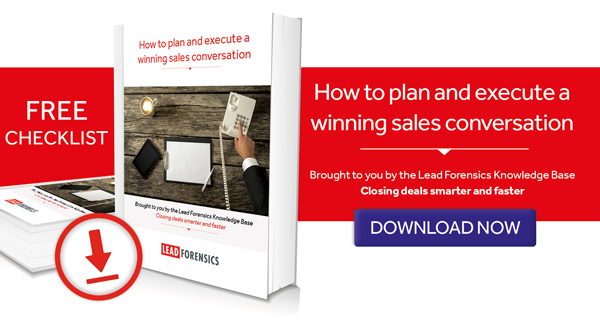 If you’re calling warm leads rather than cold calling, then there’s much less chance you’ll face resistance at this stage, due to the relevance of the solution you’re offering. Ask for the decision maker by name. As simple as it sounds, this can be one of the most powerful methods for getting through. By asking to be put through to a specific person, you’re immediately showing you have knowledge of the company and aren’t simply trying your luck, with no real knowledge of the company or its issues. If you’ve done your research and are calling a warm lead, rather than a cold contact, it should be a simple enough task to personalise your opening line and get through no questions asked. Don’t try and pitch to the gatekeeper, even if you feel like you’re not going to get through. They are unlikely to have any involvement in the purchasing decision and, if they don’t deal with the same issues as the decision maker, they are unlikely to understand the value of your solution either. At best, you’re wasting your time. At worst, you’re annoying them and damaging your chances of ever getting through in future. The gatekeeper is likely to have a much deeper understanding of the workings of their company than you are. Rather than putting yourself at odds with them, try to get them to share this knowledge with you. Ask them for their advice, listen to it carefully and make them feel valued. Ask if there’s a better time to call, or if there’s anyone else you should be speaking to. Also check the facts you have are correct, or you could be spending days trying to get through to someone that isn’t actually the decision maker you need. Rather than living by the rule ‘ABC’ (always be closing), you should instead be aiming for ‘ABH’ (always be helping). If you’re contacting a business that’s a good fit and can genuinely benefit from your product or service, then you’re being helpful. If you sound nervous or stressed, you’ll immediately be giving off warning signals. Stay relaxed, speak calmly and authoritatively and give only as much information as you need to. If the gatekeeper believes you’re someone important, they’re less likely to pry for further information for fear of offending you. Reading from a script makes you sound unnatural and robotic – traits which will be immediately picked up on by the gatekeeper. They will immediately assume you’re calling simply to sell and will likely cut you off. That doesn’t mean you shouldn’t plan before placing a call however. As with all aspects of sales, preparation and research is everything. Plan what you’re going to say, just don’t read directly from a script and rely on it to the detriment of what’s happening on the call. You need to lead the conversation from start to finish. Provide the information the person answering needs before they even ask for it and direct them towards the action you want to happen next (i.e. connecting your call to the right person). An example of this would be “Hi (gatekeepers name), this is (your name) from (business name) calling for (decision makers name), could you connect me please?”. This simple sentence provides the gatekeeper with all the information they require and an action to perform. This kind of approach is far more likely to reap results. Sometimes you’ll come across a gatekeeper who is more than a little overzealous. They may block all relevant, quality calls, as well as the standard cold callers. In these cases, it may be best just to avoid them entirely. Often you can get the contact details for decision makers, or other members of staff, with relative ease. Try to contact them directly, either by phone or email. It’s also worth trying to call at different times of day. First thing on a Monday morning is never going to be great, but you may catch them in a good mood on a Friday afternoon, or just after lunch. Failing that, call during different time periods (early morning, late afternoon or lunch hours) and you may find you get through to a different agent, who is more willing to help. It often takes over 10 separate contacts with a prospect to land a sale, so don’t be put off if you don’t get through straightaway. While it can be frustrating to leave message after message with the gatekeeper, be persistent and you’ll get through eventually. A lot of sales reps won’t go back after being blocked once, so being persistent – especially when coupled with trying to build some rapport with the gatekeeper – can work wonders.